Every day, we encounter failures, stress and rejections in life, love, business (and even in personal finance). There are days when we feel like giving up, when we feel like surrendering and when we feel like crying. Sometimes, there are even days when everything that we've done just seems useless. Everyone feels this - including you and me. The way we respond to this feeling, though, is what sets us apart. 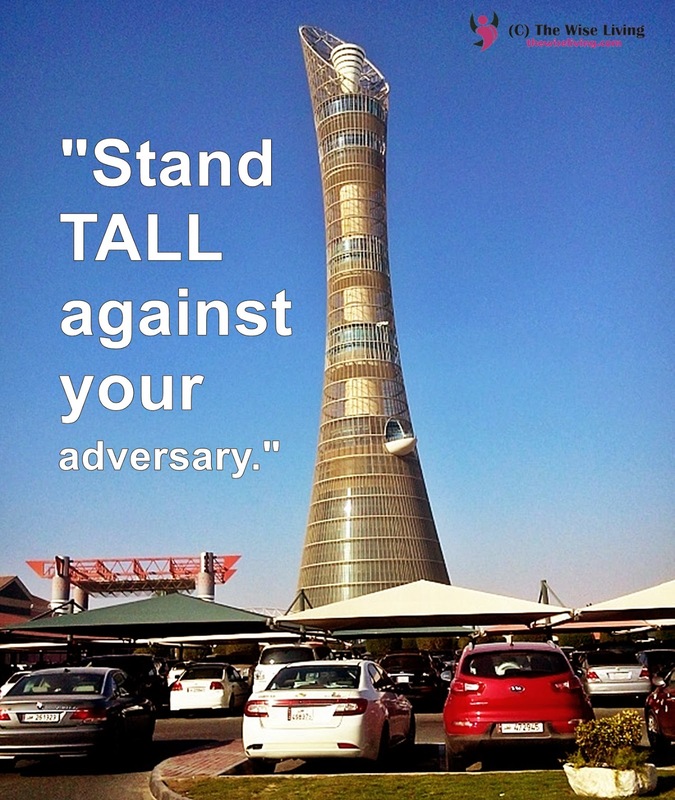 How do we respond positively and stand tall against our adversary? 1. If you want it bad enough, you'll do more than enough to get it. Let's say you want to retire with 10 million pesos in your retirement fund, but you don't really make an effort to start your own mutual fund account or VUL. "Nothing's happening," you think. "I'm still not rich...", you say to yourself. Of course you are. You're not doing anything! If you want it bad enough, you'll be committed into doing everything just to have it. Right? 2. Greatness and embarrassment go hand in hand. Sure, you want to meet new people, and sure, you want to explore new possibilities - both potentially humiliating and awkward possibilities. If you're not willing to be embarrassed, you're not willing to be great either. 3. Never give up on something you really want. It's difficult to get it, but it's more difficult to regret if you don't get it. Regret is not a good feeling. It tears you apart, it breaks you from within and it makes you hate yourself. Don't set yourself up for regret. 4. The difference between failure and success is not talent. It's persistence. Colonel Sanders of Kentucky Fried Chicken was rejected 1,008 times. He was only accepted when he called the 1,009th prospect! Imagine if he gave up after calling only 10 times? Thomas Edison "failed" more than a hundred times until he was able to invent the light bulb. Imagine if he gave up after inventing only 10 times? Nanay Coring of National Bookstore had to build the store from scratch for 3 times. Imagine if she gave up after the first try? 5. You can either get what you want the most or what you want right now. Choose wisely. This is something that resonates deeply with a lot of my friends and clients who are into long-term investing. When you open a mutual fund account or a VUL that is invested in the stock market, you don't withdraw it immediately - you wait for it to grow and give you maximum returns. In terms of businesses, when you start one, you don't instantly ask for profit months after establishing it. You wait for it to grow, you re-invest your earnings, to work on it more, then you profit. OR you don't buy it and invest it for something that you want the most in the future. 6. Focus on what you've done so far, not on what you still have to do. For example, for your retirement fund, if your target is 10 million, and you're invested P20,000, don't beat yourself up because there's still a long way to go. Be happy that you're starting. 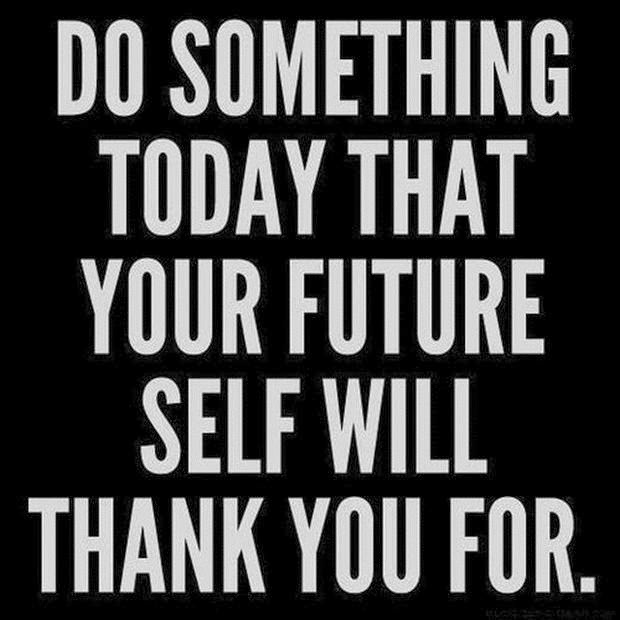 Celebrate the fact that you already have a fund. Progress, not perfection, is the ultimate goal. Remember? 7. You're alive for a reason. Don't stop until you find out what it is. Do you want to spend the rest of your life working? Not doing anything with meaning? Just getting by with your normal routine because "that's just the way it is"? You're better than a mindless zombie. You're better than an automatic robot. And we can even meet personally for a FREE financial planning session!